Gone are the days when only diamonds use to be a girl’s best friends. 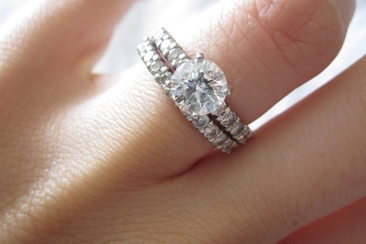 Nowadays, most brides are skipping a diamond sparkler for a non-traditional ring. 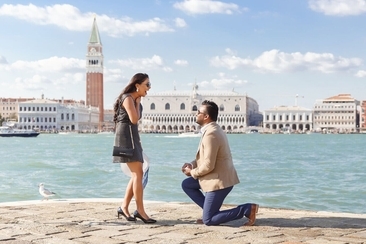 Over the years, non diamond engagement rings have gained immense popularity for the reasons that they are chic and affordable at the same time. Moissanite: If you are on a strict budget yet want a dazzling sparkler for your lady, you should try picking rings in Moissanite. This is the second hardest stone that sparkles just as bright. Ruby: Pinkish to red in color, rubies are quite popular nowadays. These precious stones make rings look bold and beautiful! The largest known ruby was priced at 2 million dollars. Emerald: Emeralds are green in color, some of which even give a yellow-blue undertone. It is extensively used in creating beautiful jewelry nowadays. You can find an intricate engagement ring made out of precious emerald for your darling! Sapphire: Sapphire has a blue hue and is an alluring option when it comes to choosing a non-diamond engagement ring. It is also available in color like white, pink and yellow. Opal: Opal is a highly valuable gem and an excellent alternative for diamond. It is the national gemstone of Australia and is quite exquisite choice to make. Apart from these five, Topaz, Tourmaline, Amethyst, Sunstones, Moonstones, Pearls, and Cubic Zirconia are a few other options available! 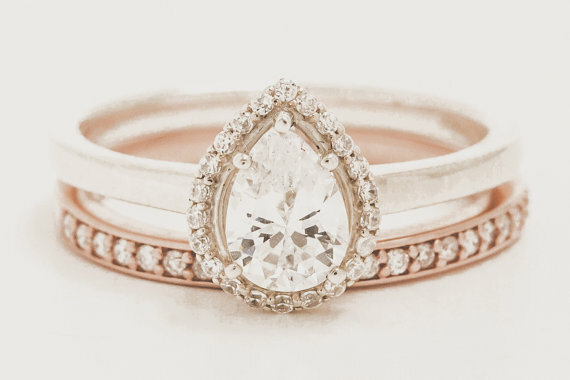 We’ll walk you through 10 insanely sparkling engagement rings that do not use even single diamond. This is one impeccable handmade ring that features a stunning pear-shaped white topaz sitting atop the petite 14k yellow gold band. You can get it customized in Rose Gold or White Gold as well. The shimmering halo effect of the ring is what makes it a non-conventional sparkler to buy for your beloved! The Theda Ring is a magnificent piece suggestive of its name. It features five stones lain out in a unique design along with an elongated rose-cut centre stone. 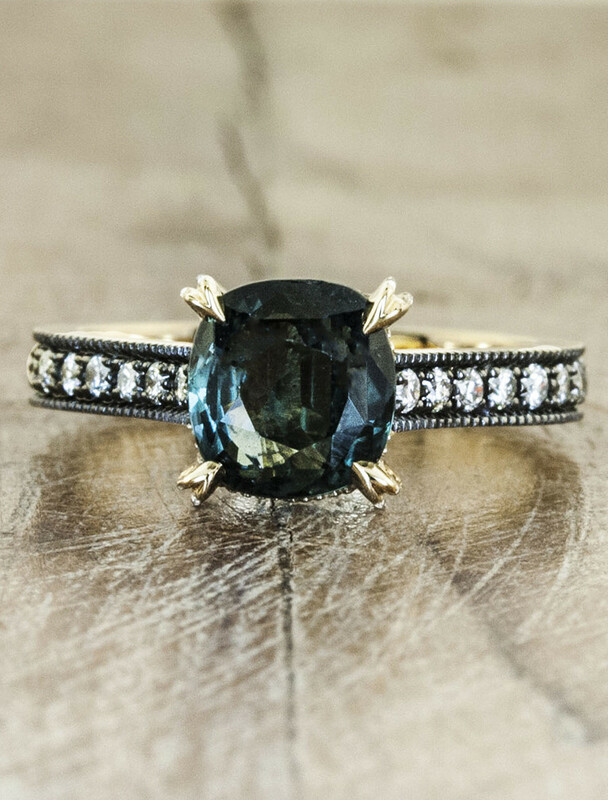 The ring gets its name from the actress Theda Bara, who was celebrated for her exotic sense of style. This is a one-of-its-kind ring that makes the best use of pink tourmalines and rubies in a 14k white gold setting. This one can surely sweep your lady off her feet! This Posy ring is another handcrafted number by Nora Kogan. It is a petite and awe-inspiringly beautiful non diamond engagement ring that will cost you no more than $300. 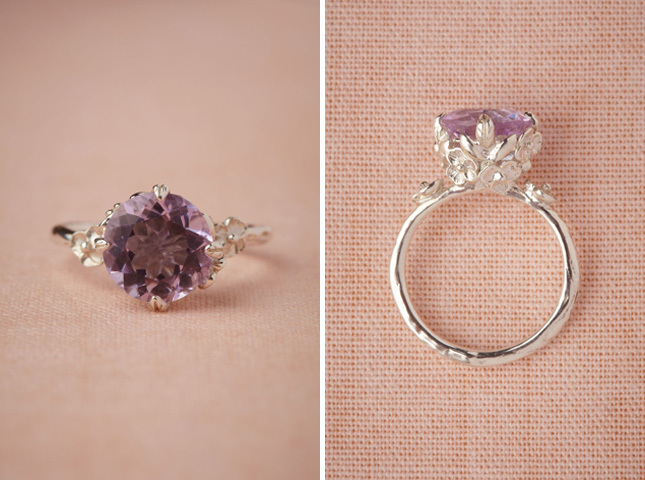 It is made out of high-quality sterling silver and features a precisely-cut pink amethyst amidst the most beautifully craved out silver pansies. If your woman loves delicate silver rings, this one is a perfect ring to seal it with. The Baretta features the old world charisma with beautiful colors and vintage-style embellishments. It comprises of a 1.30ct natural oval-cut, blue sapphire, which is set in a robust 14k yellow gold band. This design is completed with the black rhodium, making the zirconia stones really pop. It is one of the most stunning non diamond engagement rings on our list. 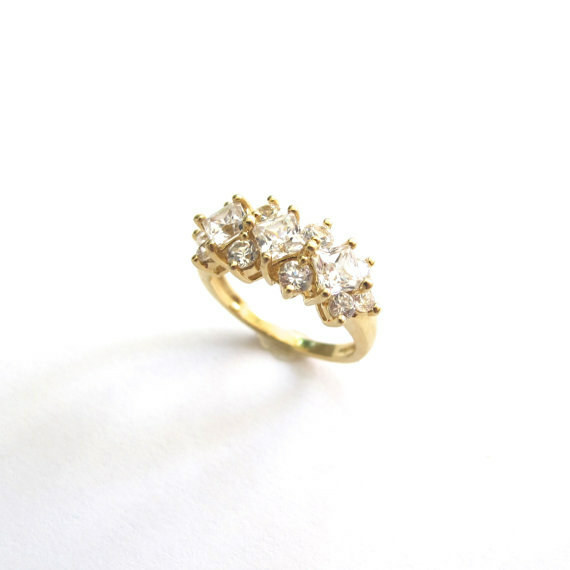 Next on our list is this vintage stunner that features a cluster of cubic zirconia in 14k gold. What’s the best thing about this ring is that it sparkles insanely and will not cost you three-month salary! 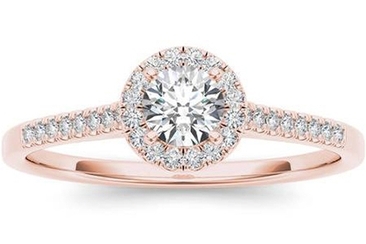 This beautiful 14k rose gold stunner is a beautiful non-diamond engagement ring to buy. 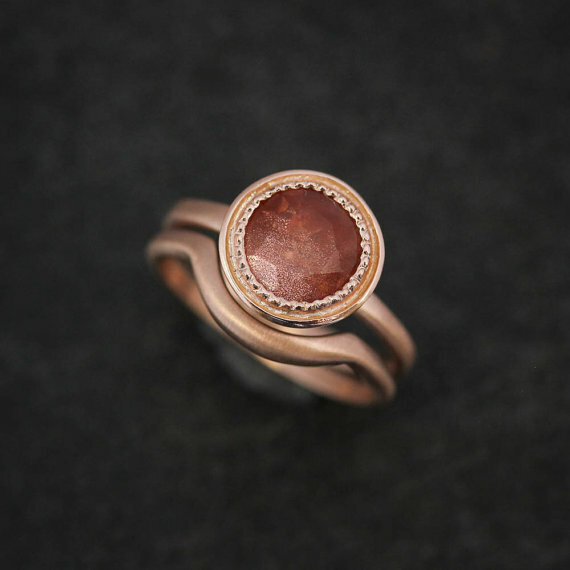 It features an exquisite Oregon Sunstone, which is a gorgeous, rare gem that sits at the center of this ring. If your lady likes to experiment with rings, this is the one that you should get for the engagement. It is a simple yet stunning option! This one is a perfect alternative for that blingy solitaire! 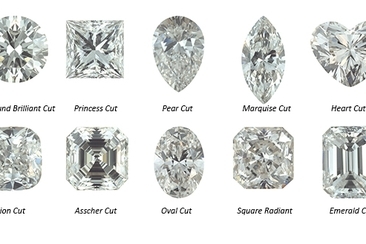 Moissanite is similar to diamond in terms of hardness and sparkle; however, it comes at a lesser price. It is the second hardest mineral in the world, which makes it perfect for cutting and designing. 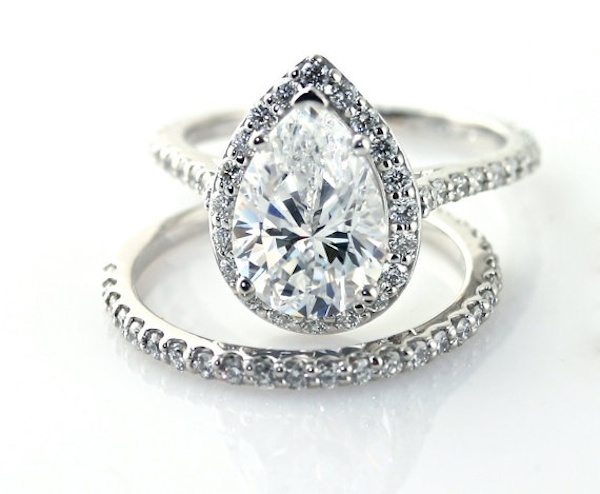 The Tear Drop Moissanite Ring has an ideal shape and comes in 14K white gold that enhances its shine. 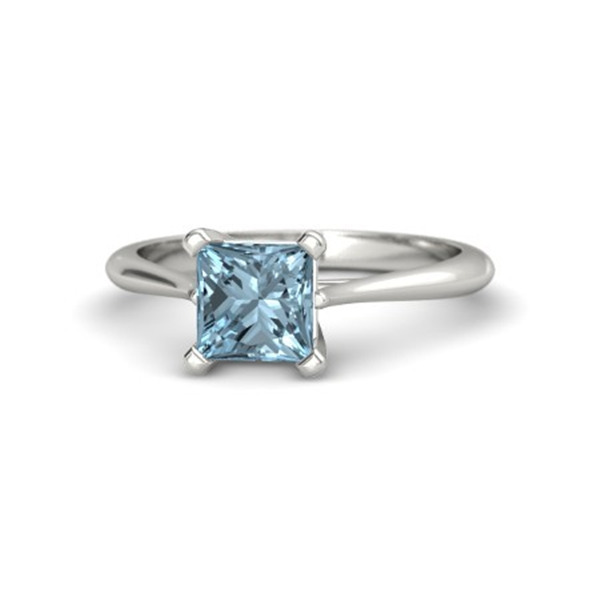 Aquamarine gemstones make a perfect choice of engagement rings, if you want to skip diamonds. This gemstone has an ineffable shine and clarity that make them look quite expensive. Try buying a ring such as this one in beautiful pale blue semi precious gemstone for the engagement! 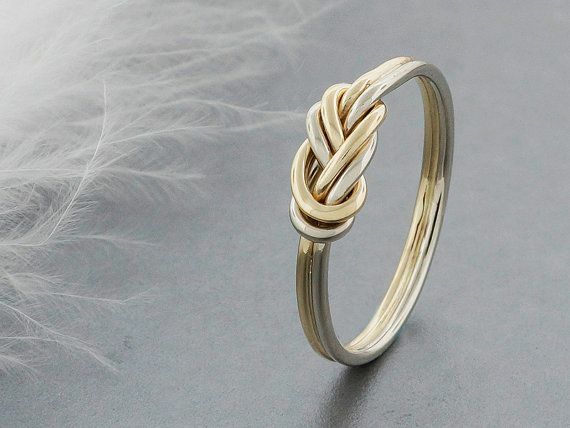 If you want to keep it simple yet meaningful, nothing can be better than a stylish knot ring. You can give gemstones a miss with this one. Nowadays, wide ranges of knot rings in silver, gold, white/rose gold are readily available. You can buy the best one for your fiancé from online stores. 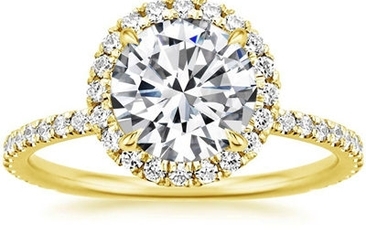 It is quite an eclectic ring to choose when it comes to non diamond engagement rings. Does your lady love pearls? 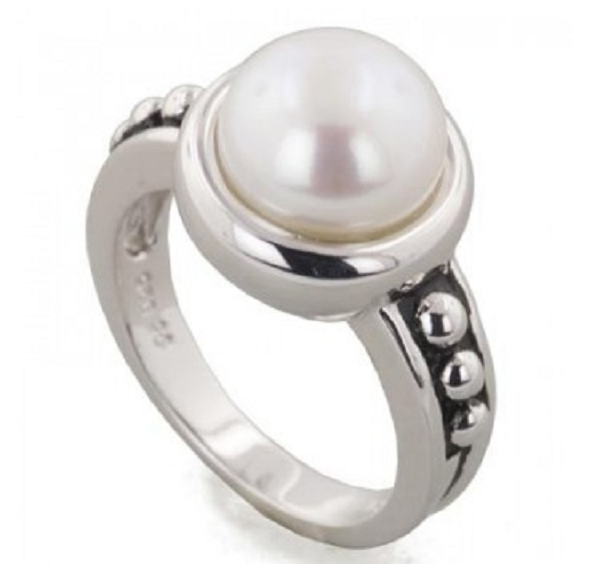 If yes, then spoil her with this special Freshwater cultured pearl ring from Honora's Pallini collection. It features a white button freshwater pearl, which is placed at the centre of a bespoke sterling silver band. 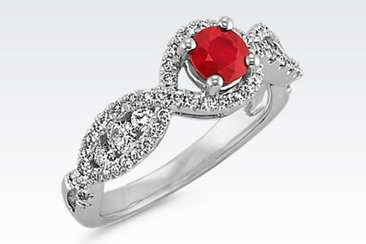 Buy this one for your fiancé and see how everyone will surprise you with gazes and gasps. Now that you have this stunning list to yourself, choosing an exquisite, unique ring for your engagement should not be a cause of confusion any more. You don’t always have to spell love with diamonds. There are a lot of other options that you can pick from. Most of these are becoming quite popular nowadays, mainly because they are equally stunning and easy on the budget! Tyssha is an avid wedding blogger and lifestyle writer. She loves to blog about DIY projects, Budget-friendly Tips, Event Planning and more. While not working, she loves to travel and read! How to pick wedding rings? A number of factors from the metals to the stones need to be considered. Find some helpful tips for the perfect ones here. 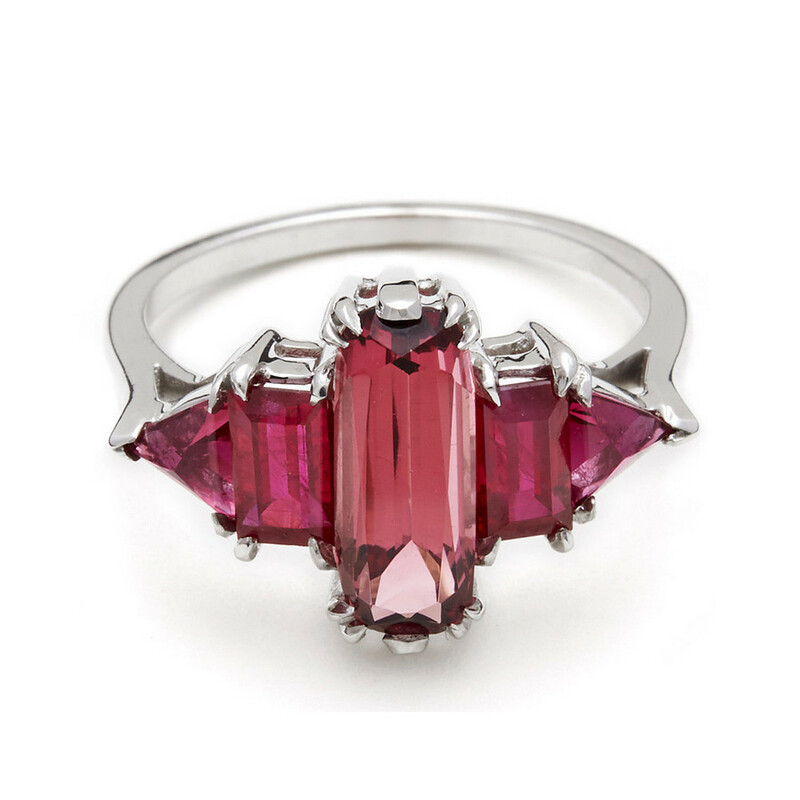 Check out our list of 20 gorgeous ruby engagement rings, perfect for your loved one’s finger. From cushion cuts to classic round gems, rubies are definitely making a comeback!